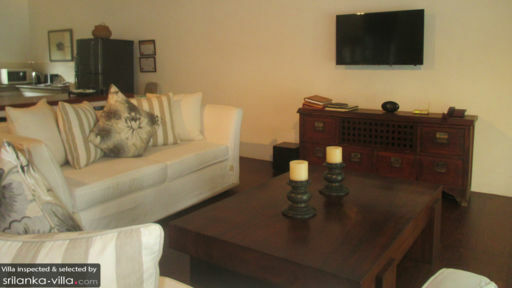 Our jaws truly hit the floor when we first set foot in Villa Apsara. It is stunningly laid out and decorated, large spacious rooms, a beautiful courtyard and garden overlooking the meandering river. We had a fantastic week there and didn't want to leave. The staff at the villa are always on hand when you need them, but at the same time you feel like you have a lot of privacy too. Siri the chef cooked us amazing food every day, for breakfast, lunch and dinner. Thanks again to all the staff for their incredible service. 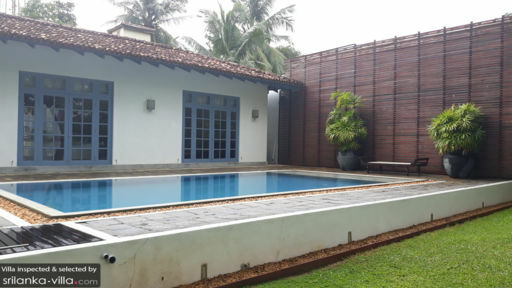 I'm sure we'll be back to Bentota and without a doubt we'd choose to stay at Villa Apsara again! Apsara is a beautiful, peaceful oasis and just behind the private gates you are able to completely relax and enjoy your vacation to the fullest. You have a helpful and kind team of staff to be able to assist to any needs. Each room is beautifully appointed with gorgeous linens and heavenly beds. 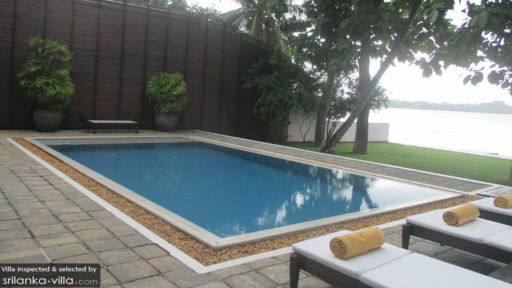 But the best part is the pool and garden area looking out onto the water. Handmade furniture makes laying by the pool that much more comfortable while your private chef, Siri, makes the most amazing meals. The perfect touches like the candles lighting the hallways in the evening and the turn-down service with fresh flowers really solidifies that you are in paradise. I recommend doing a river tour or kayak straight from the private jetty.Can't wait to go back, best part of our adventure through Sri Lanka. Apsara met all our expectations for a well appointed house with great design and excellent food. Siri feeds you superbly, beautifully presented breakfasts with great fresh produce and excellent 3 and 4 course dinners. The staff are there for any of your needs and the local "agent" priyanka can lay on any experience or transport to meet your needs... Couple this with a 4 generation family of Monitor Lizards living in the mangrove at bottom of the garden and you have "bliss"
Just back from our stay at the beautiful Villa Apsara. This place really is stunning in every way. From the moment we arrived the personal service from all of the staff was exceptional. Great advise on anything we required from pryantha, first class service from Saneth and Thiandra and amazing cuisine served everyday by the lovely chef Siri. Could not fault this rental in any way. Enjoy ! I sadly only got to enjoy Apsara for one night as met a friend and moved on, I was so disappointed not to have more time here. The villa is beautifully designed and the view is amazing. The staff were very friendly and the food was delicious. I cannot recommend it enough. We stayed for great three nights at this amazing place, the staff are helpful and tentative, the chief made everything we wanted with a smile. the only issue is the three bedrooms are totally separated. the villa is on the river directly and then there is an open area on that area are the three door each leading to the bedroom and the ensuit toilet. it would be great for friends or family with teens, but for us a family with young children it was difficult. We ended up sleeping in 2 bedroom each parent with one kid, because w didn't feel safe enough for our kids to sleep alone.